New Look is by far my favourite clothing store and always has been; even in my days of working at Topshop, I couldn't resist a bargain from New Look! So for Spring, although under any other normal circumstances we would be wacking out the gorgeous pastels and bright colours, with the current weather I didn't really think it was appropriate! Instead I have gone for an outfit which I personally would love to wear all together. Firstly the slim leg trousers are stunning and no doubt so flattering, I have decided that this Spring/Summer I am going to invest heavily in brightly coloured fitted trousers rather than just different coloured jeans as I think there is an element of sophistication to them. Secondly, I am really into suede at the moment, want to get a bit of a collection in my wardrobe and these shoes are just stunning for ever day use. Third, the spike necklace which is a little 'out there' for most, but I think statement jewellery and block colours are a must have for Spring/Summer. As I'm sure the world has seen already, crop tops are a keeper. I genuinely hope they stay around for ages as they are so cute and they perfect for a little twist to an outfit. Fifth, you can never go wrong with a little satchel. I do love the Cambridge Satchel Company bags but sometimes you just need a little something to keep a few bits and bobs in whilt going about daily life. Finally, I added in a longer sleeved top as I feel that if I was to parade around town in the outfit as it stands, I would freeze, so chucking this on top of the current look would be great! What do you think guys? 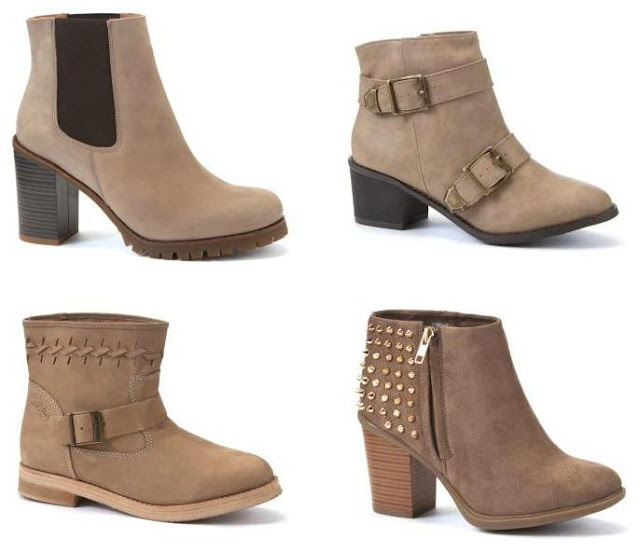 If you get a chance, definitely check out some of these gorgeous boots for Spring, at New Look. Below are some of my favourites, of which the Limited chelsea boots are a must have for me! Love those moccasins, they look super comfy! I'm after a pair for summer and these might just be the ones! The necklace has got me hooked its so cute! Ooh, I'm on the look out for some new ankle boots, I might just have to take your tips! Satchels and studded ankle boots! I cannot get enough of those. I love the mix of cute with a little bit of edge. Oh my gosh, I really want that satchel!! I love New Look but have found that the sizes do not fit my hourglass-ish figure very well which is a bummer. Where as with Topshop it fits nicely! 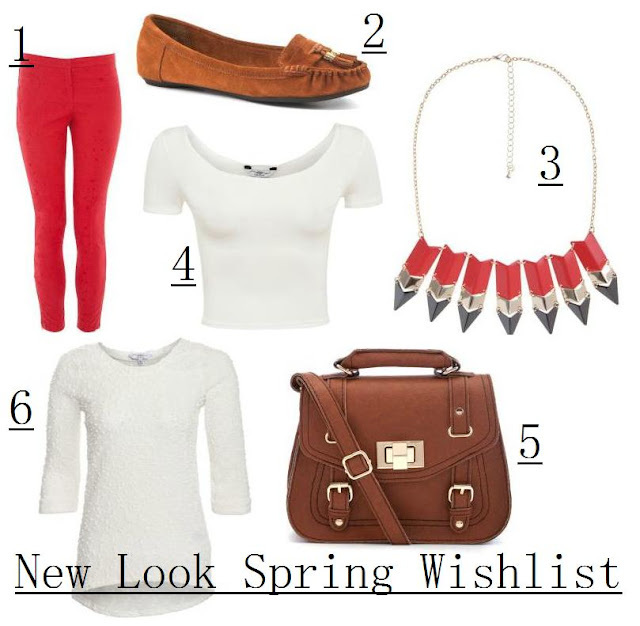 Love the wish list though, The necklace is gorgeous, a statement piece!